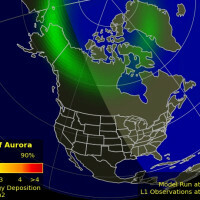 Earth is inside a stream of solar wind flowing from the indicated coronal hole. Credit: NASA/SDO. 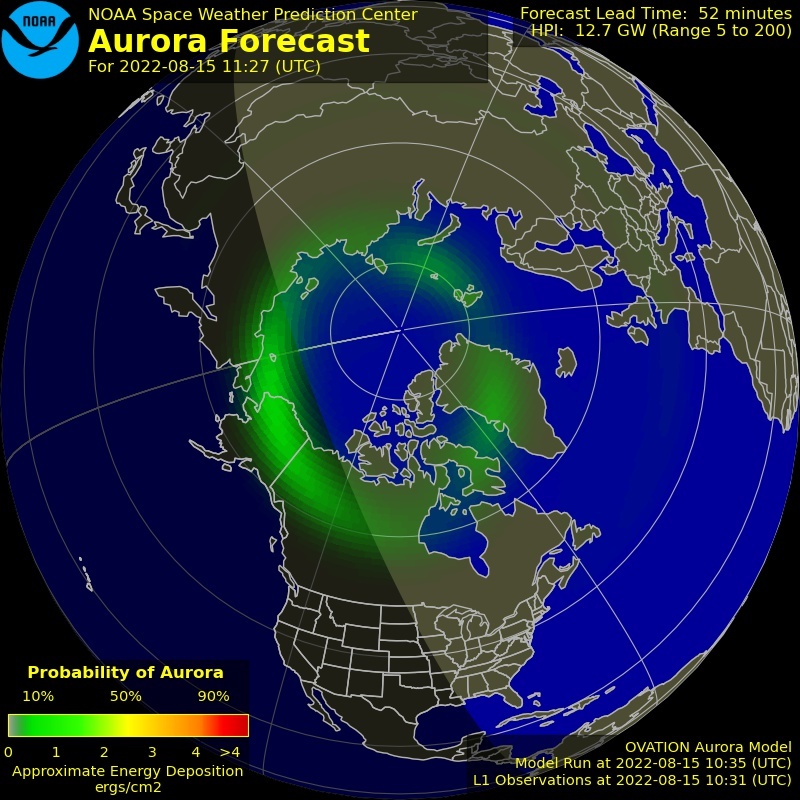 If this explosion had occurred 2 weeks ago when the huge sunspot was facing Earth, we would be predicting strong geomagnetic storms in the days ahead. 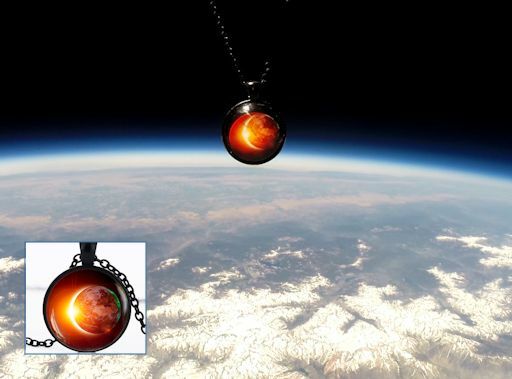 Instead, the CME is racing away from our planet ... and directly toward Mars. Compared to Earth, the Red Planet is currently on the opposite side of the sun, and apparently in the crosshairs of this CME. Mars rovers Curiosity and Opportunity might be observing the effects of a solar storm later this week. 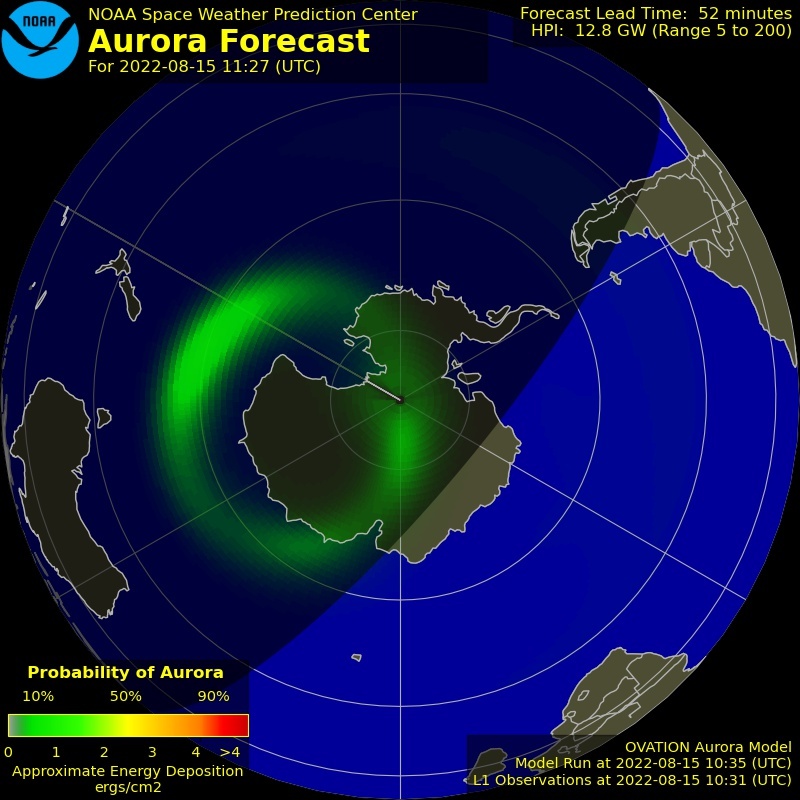 Coincidentally, today's farside explosion occurred on the 5th anniversary of another significant farside event: The Solar Superstorm of July 23, 2012. That superstorm, which has been compared to the historic Carrington Event of 1859, could have caused widespread power blackouts if it had not missed our planet. "The storm was about 390km away," says Popek, "and the sprite was huge. It stretched 50 km to 90 km above the ground below." 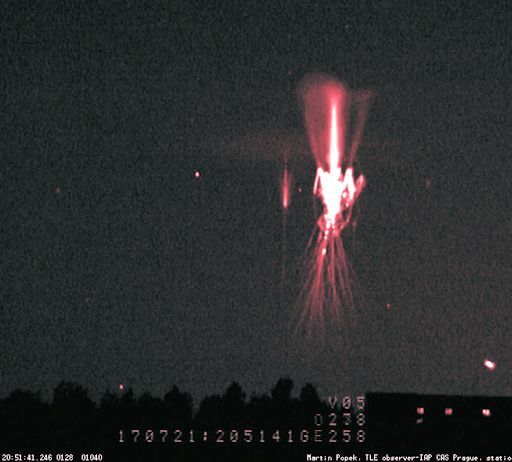 Sometimes called "space lightning," sprites are a true space weather phenomenon. They inhabit the upper atmosphere alongside auroras, meteors and noctilucent clouds. Some researchers believe they are linked to cosmic rays: subatomic particles from deep space striking the top of Earth's atmosphere produce secondary electrons that, in turn, could provide the spark that triggers sprites. 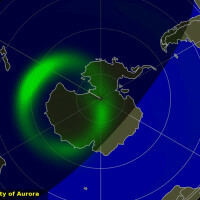 The link to cosmic rays is particularly interesting at this time. 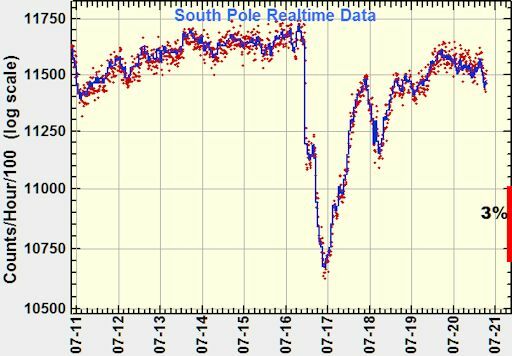 Despite a brief reduction in cosmic rays last week caused by the sweeping action of a passing CME, cosmic rays are intensifying. 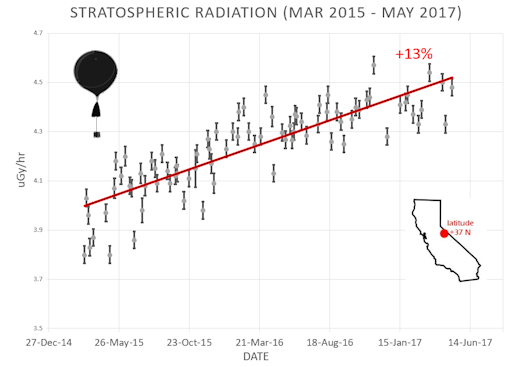 For the past two years, space weather balloons have observed a steady increase in deep space radiation penetrating our atmosphere. This increase is largely due to the decline of the solar cycle. 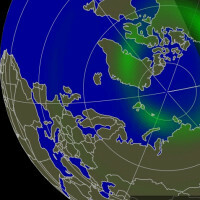 Flagging solar wind pressure and weakening sunspot magnetic fields allow more cosmic rays into the inner solar system--a trend which is expected to continue for years to come. These changes could add up to more sprites. 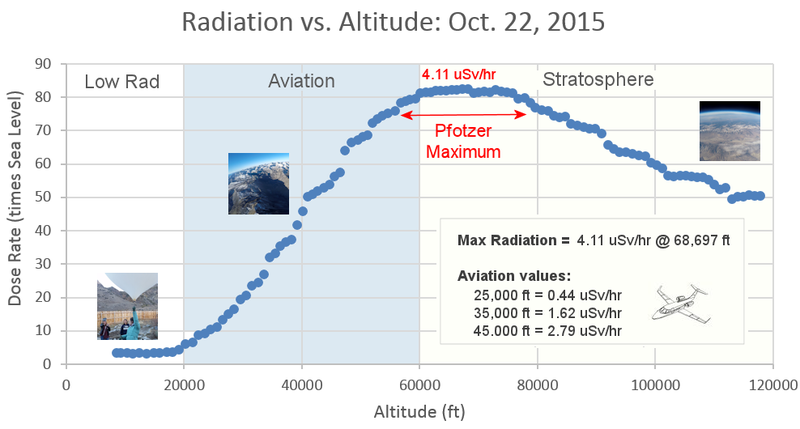 Lately, cosmic rays around Earth have been intensifying as the solar cycle plunges toward minimum. The CME of July 16th reversed that trend--but only for a few days. 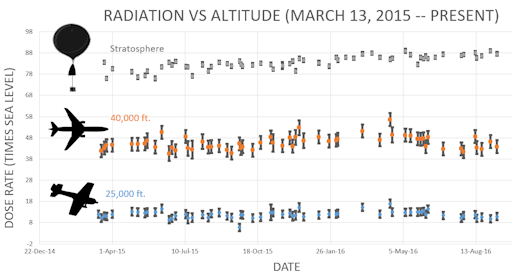 Solar activity has returned to low levels and cosmic rays are on the rise again. On Jul. 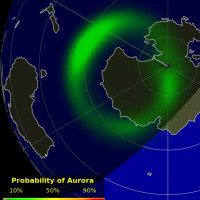 23, 2017, the network reported 5 fireballs. On July 23, 2017 there were 1803 potentially hazardous asteroids.